More than 50mm of rain can be expected in some places with the possibility of localised flooding, after a massive cold front made landfall in Cape Town on Thursday 14 June 2018. 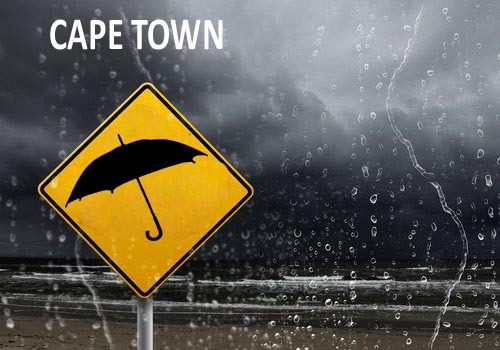 Cape Town Disaster Management teams are on high alert as torrential rain is predicted for some areas. 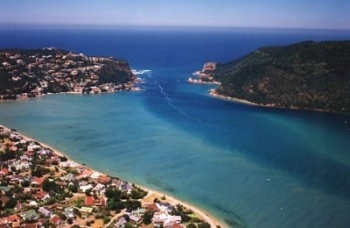 According to the forecast, the whole of the West coast should receive some rain, but the front is expected to move in a Northerly direction, and is not expected to bring rain to The Garden Route. The prediction is that Cape Town itself will receive in the vicinity of 60mm of rain before the weekend, with the most rain to fall between Paarl and Worcester where a whopping 110mm of rain is expected to fall before Saturday 16 June 2018. The rain will have a positive impact on the water level of the dams in the area with the expected rain in the catchment area of the Theewaterskloof Dam estimated at 50mm, with The Steenbras Dam receiving around 55mm and the Clainwilliam Dam to receive approximately 35mm of rain.